When we visited Malaysia we practically lived on Nasi Lemak. 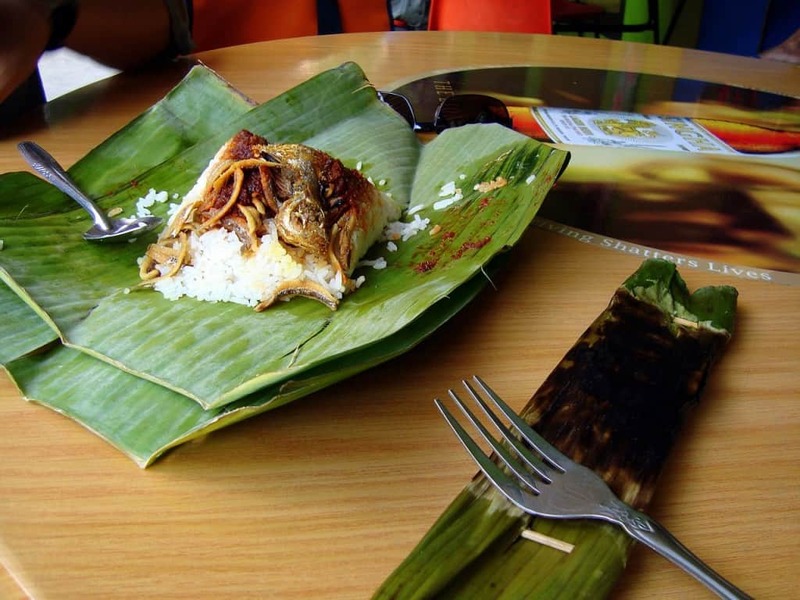 It’s Malaysia’s national dish and a must try if you visit this fascinating country. 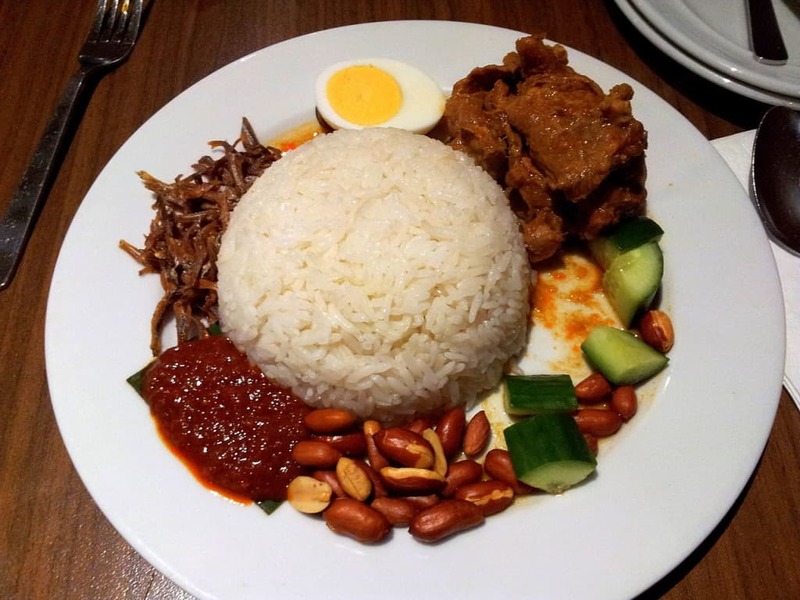 Nasi Lemak is a rice dish cooked in coconut milk and pandan leaf. Traditionally it was served for breakfast (it was recently voted as one of the top 10 healthy breakfasts by Time) but now with the variety of condiments you can put with it, it is served throughout the day. 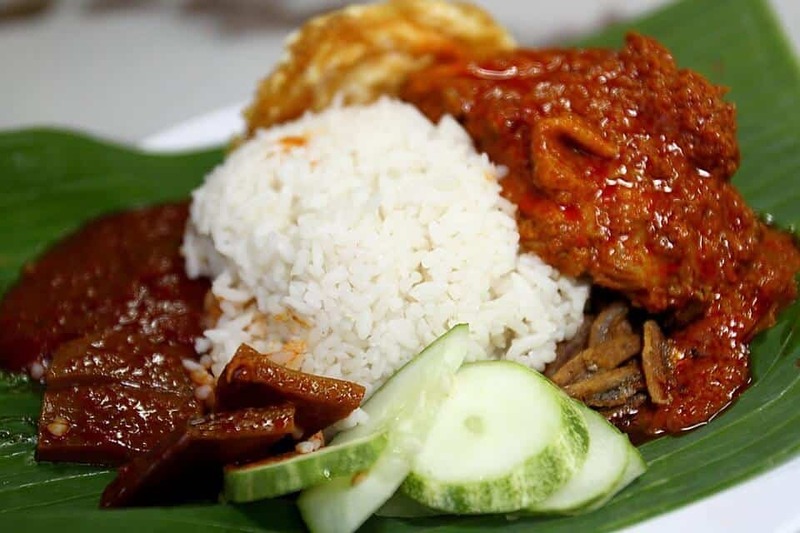 Nasi lemak is served with a hot sauce called Sambal, and then various garnishes are included like fresh cucumber, small fried anchovies, roasted peanuts, and a hard-boiled or fried egg. But, you don’t need to visit Malaysia to try it. Why not try it at home and let us know how you got on. 1. Put all the ingredients into a rice cooker pot and cook on the normal setting. 2. Alternatively, put all the ingredients into a large saucepan and place onto a medium high heat. 3. Bring to the boil and let the liquid almost evaporate which will take about 6-8 minutes. Once the liquid has almost evaporated, turn the heat on very low and cover with a lid for 10 minutes. After 10 minutes, the rice should be cooked, leave to stand for 2-4 minutes before serving. Discard the ginger slices, lemongrass stalks and screwpine leaf. 4. Serve the Nasi Lemak with the condiments and prawn sambal. 1. In a food processor, put the shallots, garlic and candlenuts and blend until a paste. 2. Heat the oil in a wok on a medium heat and fry the dried chilli paste until fragrant and you can see the oil separates/splits from the paste. This will take about a minute. 3. Add the blended ingredients and fry for 3 minutes before adding the shrimp paste. Add a little water and continue to cook for a further 2 minutes. 4. Add the lemongrass and tamarind and the remaining water. Stir well and cook for 5-6 minutes until the sambal thickens. 5. Add the prawns, sugar and salt mixing well to combine. Cook for about 3 minutes or until the prawns are just cooked. Remove from the heat and serve with the Nasi Lemak. 6. You may garnish with some sliced spring onions. Sri Lankan Hoppers – This was one of our favourite dishes from an Island with plenty of amazing dishes! Khao Soi Recipe – One of my top 5 dishes in the world. This Northern Thai dish is my addiction when I am back in the land of smiles.